We offer a superior quality Buffalo Shin Shank . It increases the energy level and they are less likely to be overweight. It is an excellent source for vitamins, especially iron, calcium, zinc, potassium, B12 and selenium. We have highly acknowledged organization engaged in presenting a remarkable range of Buffalo Silver Side. 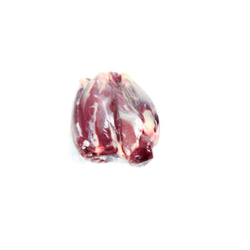 Customers can avail this Buffalo Top Side Meat product from us in numerous sizes at nominal prices. We supply Buffalo Striplion worldwide at a competitive rate and made client chains internationally. The product is good in taste & flavor and is nutritious for health. While processing this item, the sanitary conditions are maintained. This product has attracted demand across world because of its nutritious value. Our frozen meat products are processed under hygienic conditions so that it can preserve its taste, tenderness and other properties. We offer a wide range of low high protein topside buffalo meat, which are tender and tasty. Owing to our years of experience and in-depth knowledge, we are able to manufacture, supply, trade and export Frozen Meat. The entire range of meat is processed hygienically and packed properly, before delivery. Furthermore, we thoroughly check this range on different parameters to assure about the zero impurity. We have in store for our clients some of the best cuts of buffalo meats from our range of fore quarter cuts. These fore quarter cuts are graded according to the amount of visual lean meat. It is an excellent source for nutrients, especially vitamin B12, iron, calcium, zinc, potassium, and selenium. We have gained immense appreciation from our customers by offering them with a supreme quality gamut of Buffalo Bladder. We deliver on demand high quality of fresh & aromatic buffalo tongue to all the parts of the globe. The hygienic & nutritious value of the product has attracted many clients and provided by us at cheap price.